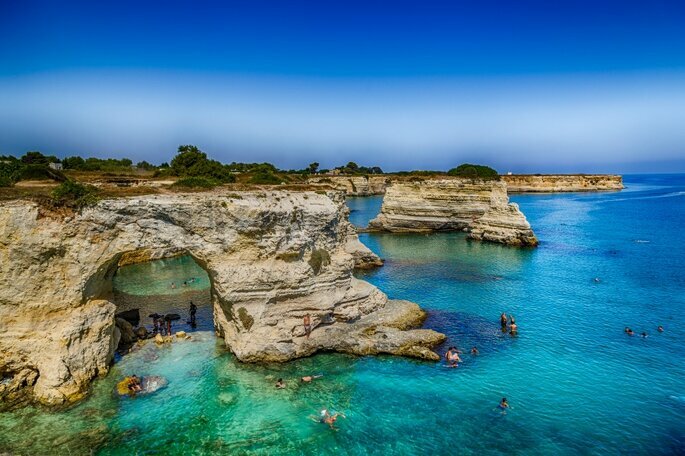 Once known as “Messapia” the ‘‘land between two seas’’, Salento is the so-called heel of Italy. 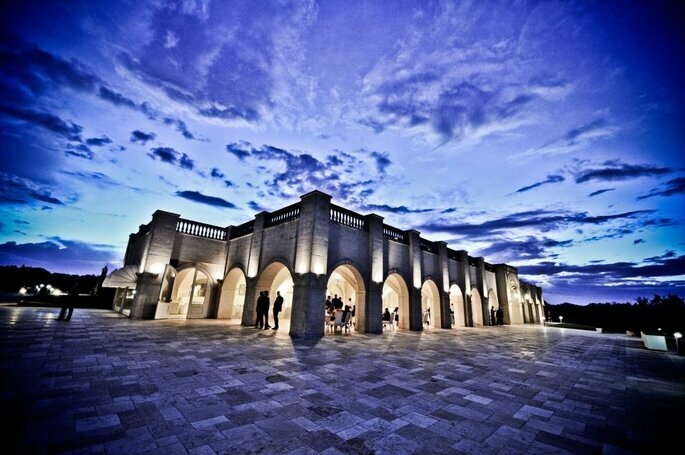 It is part of Puglia that surrounds the province of Lecce and parts of Brindisi and Taranto too. Essentially a region within a region, Salento is known for its distinct dialect, culture and architecture which distinguish it from the rest of Puglia. 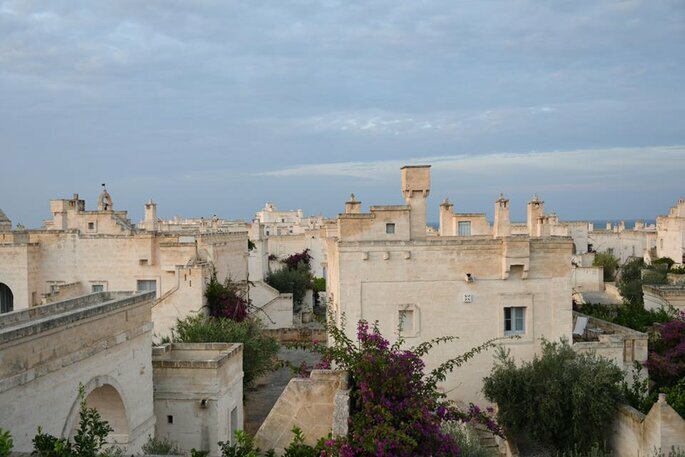 Once you’ve been to Salento, you can’t help but fall in love with its vast expanses of greenery with olive trees, stone buildings, not to mention its stunning coastline. If all this is sounding like the sort of wedding location that you’ve always imagined then read on…. 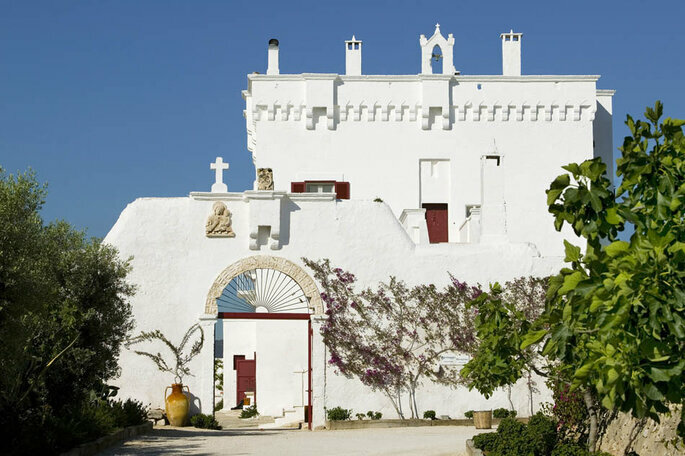 An old seventeenth-century fortified tower built by the Knights of Malta, Masseria Torre Coccaro has been turned into a wonderful 5-star resort that is both elegant and familiar. Just a stone’s throw from the sea, surrounded by almond and carob trees, Masseria Torre Coccaro gives you the option to choose between 4 restaurants, enjoy an exclusive access to the beach, and access to their spa which is located inside a natural cave and with charming rooms and suites that perfectly combine comfort and rusticity. 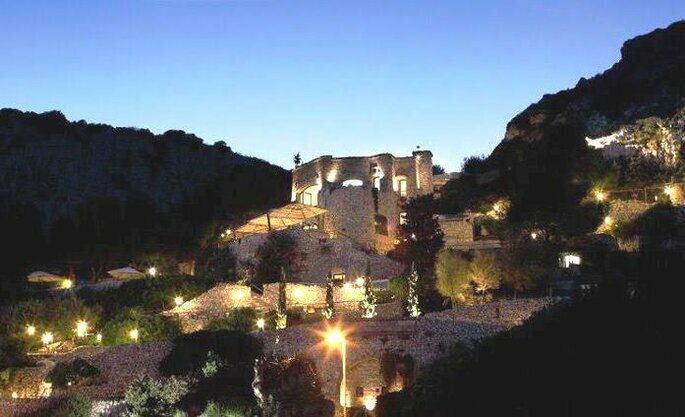 Masseria Torre Coccaro is magical place that will make your wedding a unique and special event. 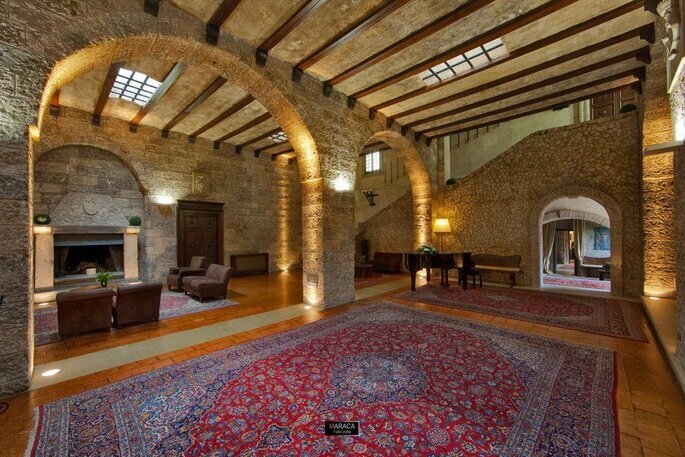 With over six centuries of history, you might struggle to find somewhere more enchanting than Castello Monaci, whose name pays homage to a group of Basilian monks who turned it into a place of worship and meditation, which later became a home to a collection of noble families. 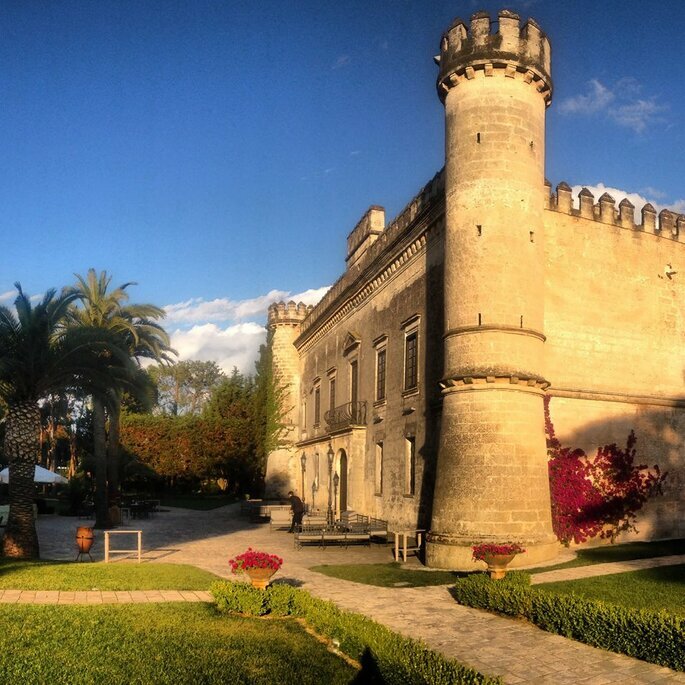 Today it is still wonderfully situated with its white stone and its imposing towers among olive trees and vineyards. 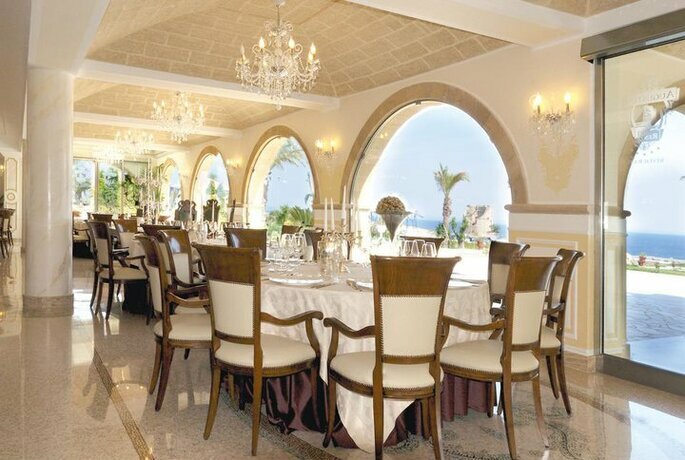 A fabulous location, where you could celebrate not only your reception but also your wedding ceremony. 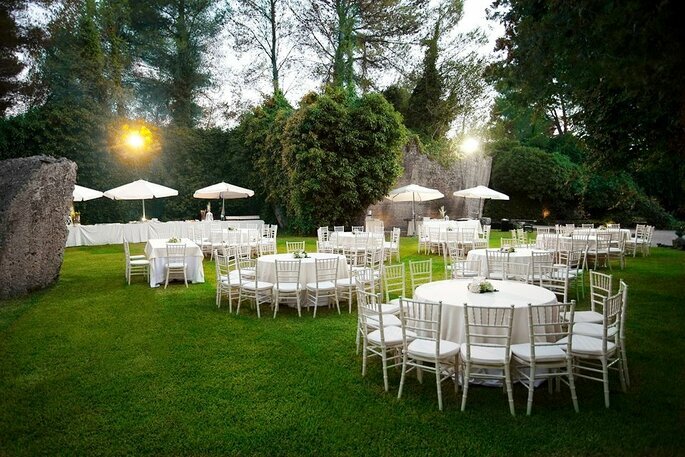 As if it couldn’t get any better, Castello Monaci is able to offer its own wedding assistant who will be more than happy to guide you through all the decision making. 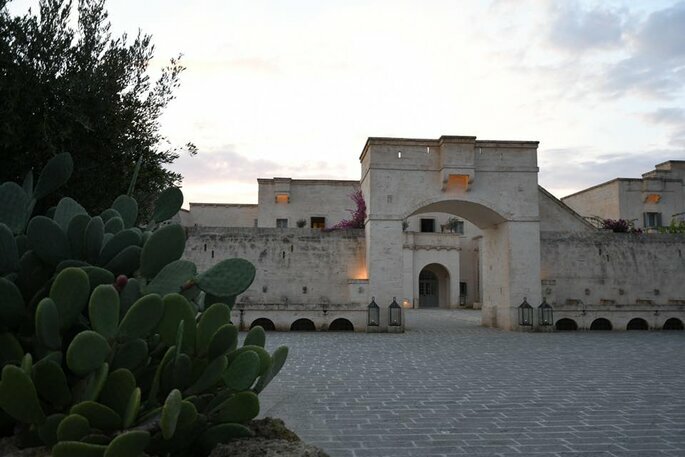 A unique architectural wonder with unrivalled beauty and stunning views, this is Borgo Egnazia. The staff here are second to none; every detail is meticulously taken care of meaning you can rest assured that you will be able to rely on their excellent services. No request is too big. Located in the heart of Lecce, and dating as far back as 1419, built by the Prince of Taranto, Giovanni Antonio Orsini del Balzo, Torre del Parco is one of the symbolic monuments of the late Middle Ages and Renaissance. 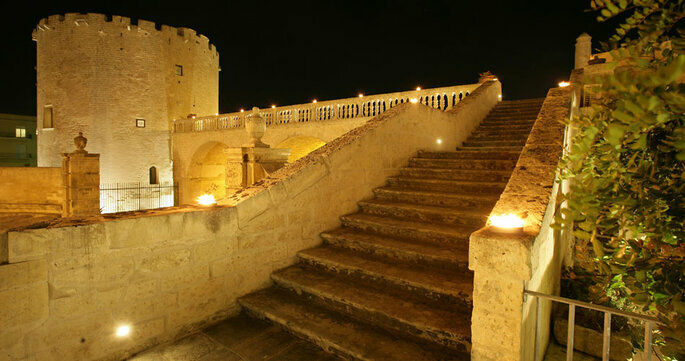 Its tower is over 30 metres high and is built on three levels, with romantic and sumptuous rooms with terraces lit by torches. The large Festival Hall is an absolutely charming setting with a wonderful ambience, making it the perfect place to celebrate your wedding. 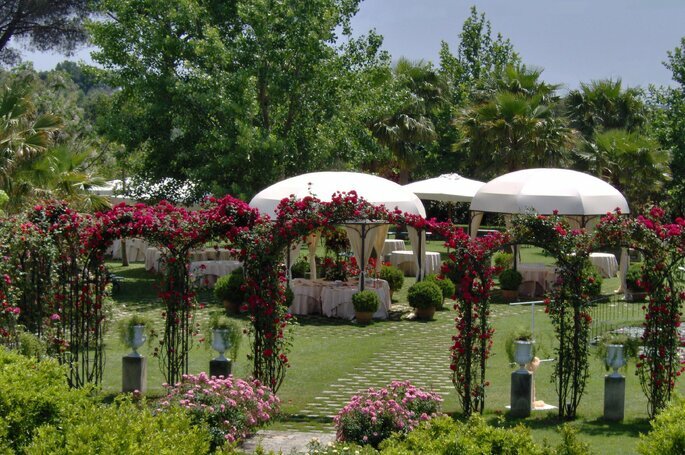 Villa dei Fiori is the sort of place that will make any wedding a magical event to remember. In a stunning and exclusive setting consisting of 5 different areas, each with original features to make your day all the more special. 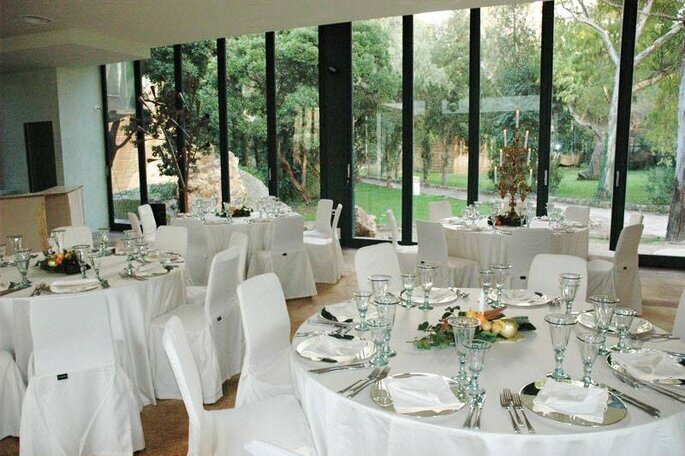 For example there is the Teatro delle Feste, a modern and striking structure with choreographed lighting and a large stage, or the wonderful gardens with a large pool, the magnificent hall which is the perfect place to hold a reception during winter. 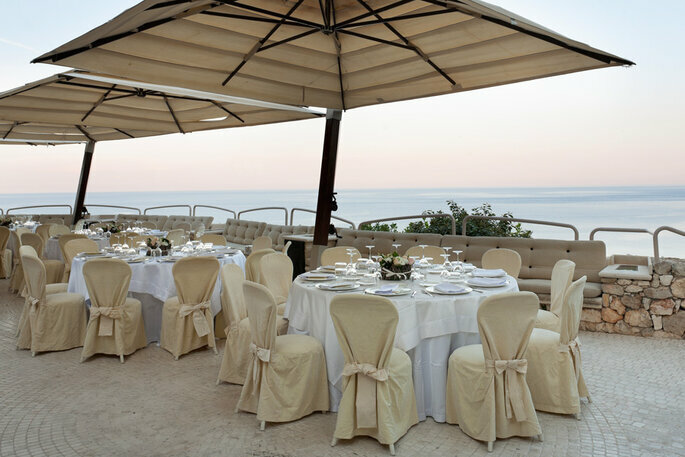 Built during the nineteenth century and located facing out onto the sea, surrounded by greenery, Villa Raffaella is the perfect spot to hold your wedding. The villa has two floors and is characterised by Gothic and Romanesque style architecture, with rooms and apartments that are elegantly decorated. 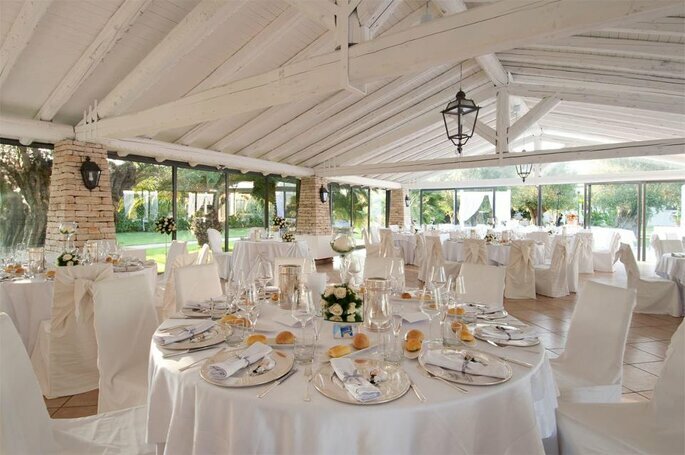 The best part is the Villa is perfect for both summer and winter weddings and is able to accommodate up to 150 people. 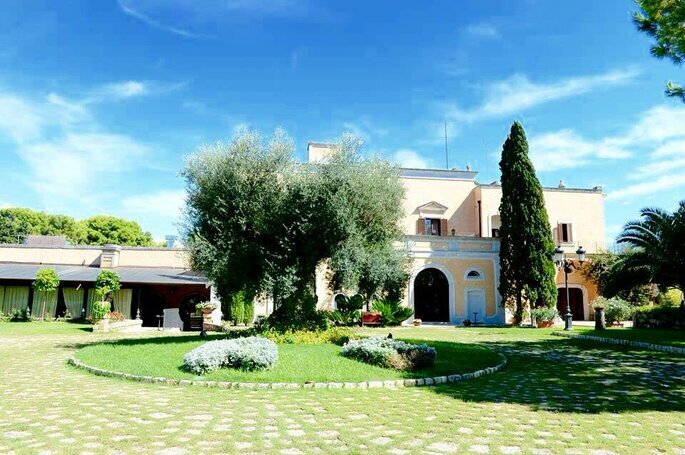 Tenuta Mascarini covers an area of ​​two hectares and houses the largest rose garden in Salento. 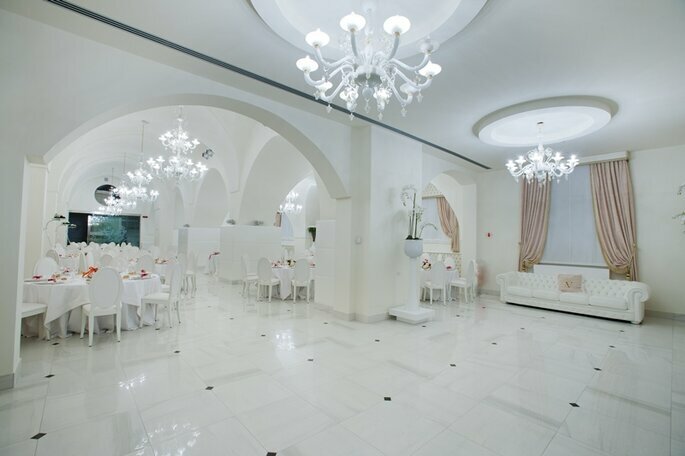 It is a perfect location for those looking for an enchanting location with an evocative atmosphere that will make your wedding an event that no one will forget. The estate is able to offer four reception rooms: Centifolia room, Moss Hall, Hall of the Oranges and the Hall of Mirrors, all characterised by an tasteful and delicate style. The outdoor areas are divided into areas (gardens rooms) which are equally elegant but come unfurnished. This venue is surrounded by some of the most incredible landscape which you can enjoy all from the comfort of one of the estate’s beautiful reception rooms with windows overlooking the Salentine countryside. 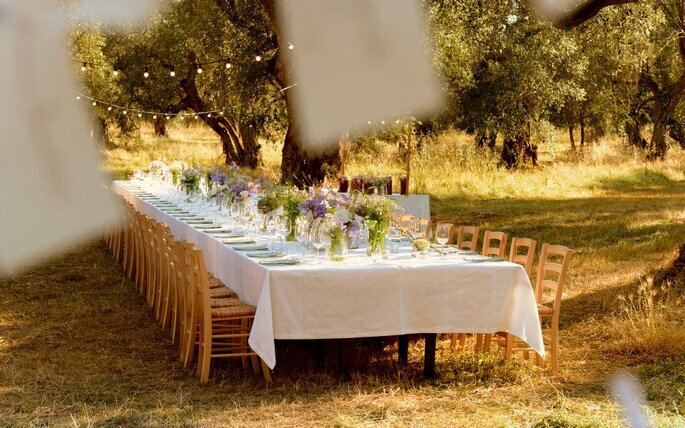 This venue has its own kitchen and with over twenty years’ experience in organising events you can guarantee that your wedding will be a complete success and that the food will be second to none in Salento. 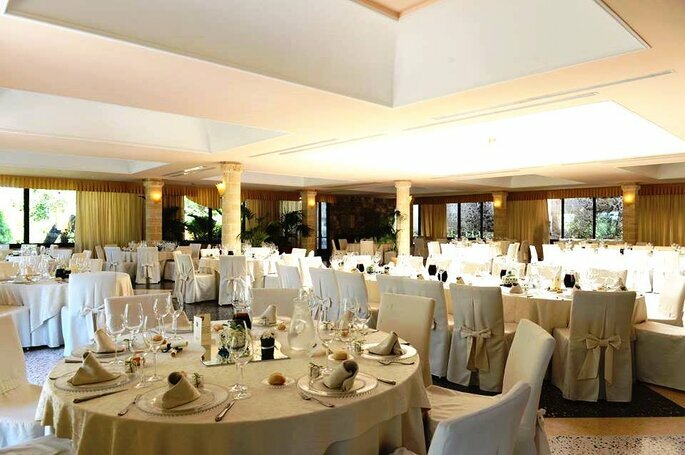 Surrounded by nature Tenuta Moreno is the perfect balance between that and modern comforts of 4 star hotel. This venue really is the perfect place to celebrate your wedding. A unique eighteenth century farmhouse setting with spacious interiors and exteriors, a spa, gazebo and a swimming pool carved into the rock, in addition to a botanical pond and Pheasant court, this location is certainly unique. The restaurant offers a wide range of refined and regional dishes to suit every occasion. Above all, the service you will receive here is impeccable allowing you to sit back and enjoy both the run up to your wedding and the big day itself. 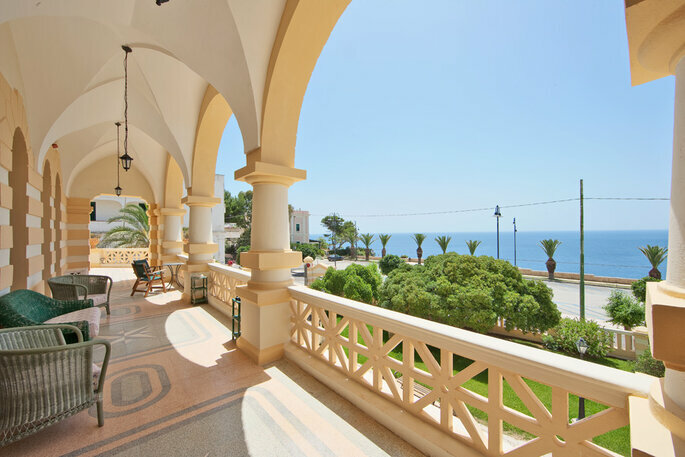 A 5-star resort on the beautiful coastline of Santa Cesarea: Augustus Resort really is a slice of paradise. 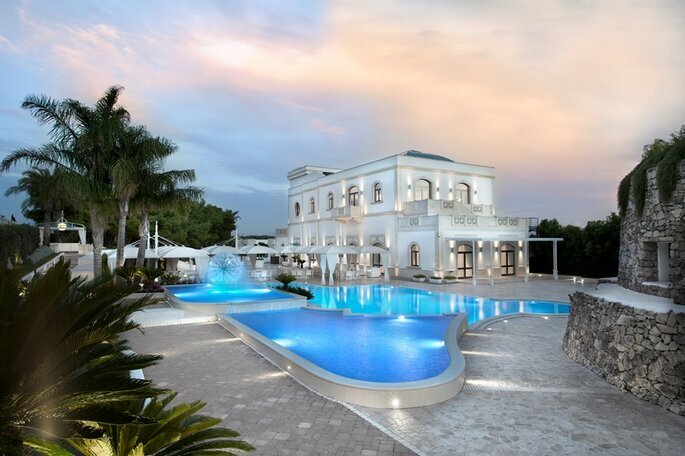 With an eighteenth century structure that is surrounded by pine trees and the blue sea, August Resort Santa Cesarea Terme is one of a kind. You can admire its stunning views either from one of its elegantly decorated rooms or from the swimming pool and its terrace. If you choose to celebrate your big day here you can guarantee that you will do so in the utmost style and originality. A short distance from the beautiful Santa Maria di Leuca, the last stretch of the Adriatic coast of Salento, Gibo is situated between a collection of rocky coves, perfectly integrated with the surrounding landscape. Gibo’s location seems to transport you back to a time gone by, with steps up into the mountains and has breathtaking views of the miles of coastline below. You can also enjoy exclusive access to the beach. Like many of the venues on this list, Gibo is able to take all sorts of requests, making it the perfect place for all sorts of weddings, big or small. 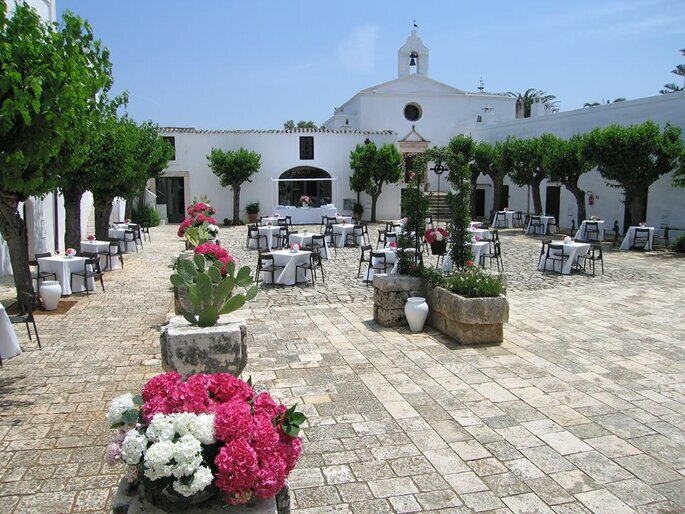 Borne out of a restoration of a sixteenth-century farm-village, Relais Masseria Montalbano is located in the village of Ostuni, surrounded by 80 hectares of ancient olive groves. Originally peasant dwellings, but now beautifully renovated, each of the venue’s rooms retain the charm of their former purpose. 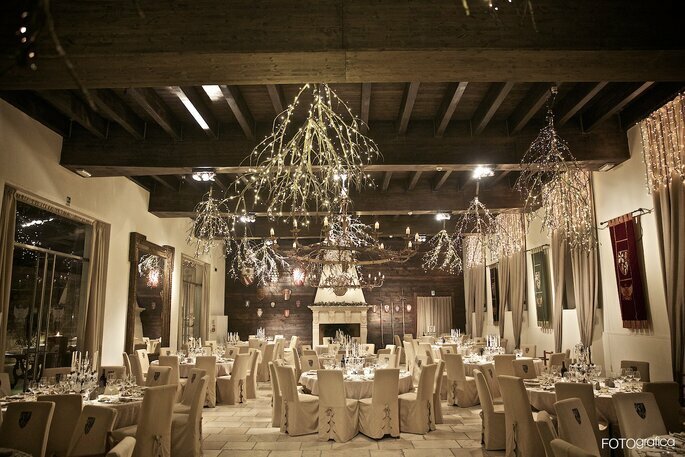 Outside, the garden, old courtyard and the magnificent Hall Frantoio make for a perfectly unique setting for your dream wedding. What’s more, a team of professionals will be there to guide you through every step of the organisation process whilst the kitchen run by an executive chef will ensure every dish is of the highest quality and sophistication for you and your guests. Relais Reggia Domizia is a 4 star superior hotel that combines everything one looks for; charming and sumptuous rooms and an exceptionally high quality service in all that they do. 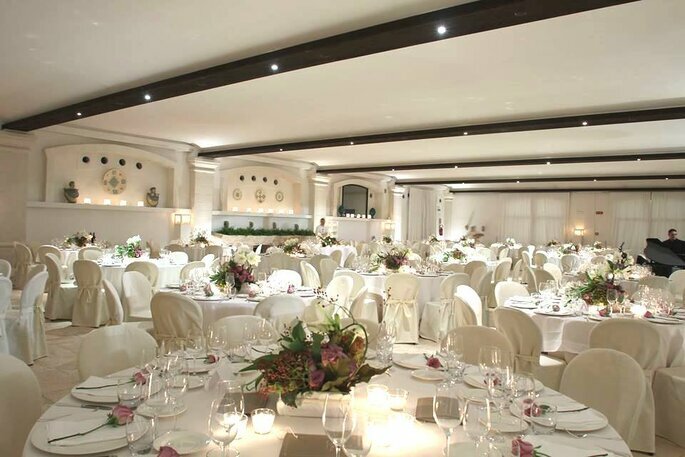 Relais Reggia Domizia has five different spaces each with a different style: The Banquet of the Gods, The Cave of Chiron, the tasting room, The Garden of Ate, for large outdoor events, and even the Orpheus Theater, a multipurpose arena and Zeus Symposium for exclusive ceremonies. With such a wide variety of styles, you’re bound to find one that is perfect for your wedding! With its 7 hectare park and gardens, Verdalia Meeting & Ricevimenti is an oasis of art of incredible beauty. It has a wonderful range of reception rooms, all of which are elegant and refined, located in the Garden of Harmony where you can enjoy the landscape in all in beauty. This location is characterised by a its attention to detail and its love of tradition, carefully combined with innovation. It also has a fully equipped play area for children, so that they can enjoy themselves as much as everyone else on your wedding day. Located in one of over 40 hectares of olive groves and woodland, Masseria Traetta Exclusive dates back from the late nineteenth century. With its large amount of space, sophisticated ambience and its selection of wonderful rooms as well as an outdoor pool, and rooftop terrace, Masseria Traetta Exclusive has everything you could possibly need. 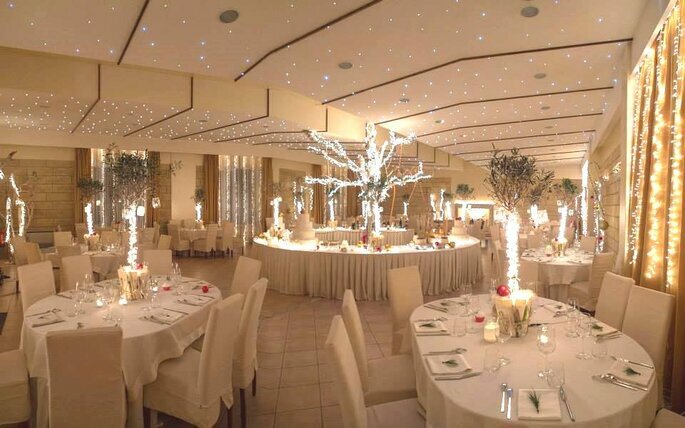 As can be expected of such an impressive venue, its staff are highly professional and will do everything possible to make sure that your wedding is unforgettable. Villa Andrea di Isernia – Italian Wedding Venue of Dreams!